An emotional political battleground is taking shape in San Diego's most gay-friendly community. 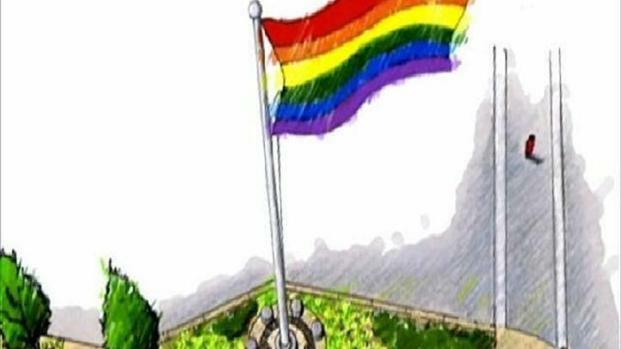 Hillcrest business leaders want to put up a 65-foot-tall flagpole to fly a large, rainbow-hued "Pride" banner near the street that was recently approved a name change to Harvey Milk Street. The project, targeted for the south end of a traffic median where Normal Street meets University Avenue, is drawing fire from some residents and community planners. "Why take the fight to Hillcrest?" says Austin Copeland, a neighborhood resident. 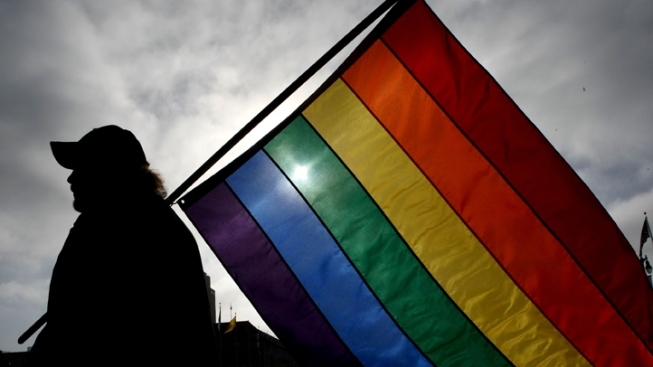 "Hillcrest should be allowed a rainbow flag, of all neighborhoods. I could understand it, maybe, if it was somewhere else. But it's Hillcrest. Come on." San Diego residents talk to NBC 7 reporter Gene Cubbison about their thoughts on the possible addition of a 65-foot flagpole that would fly a "pride" banner in Hillcrest. But community planners only approved the idea on an 8 to 6 vote. The city Planning Commission rejected it, 4 to 2, with an abstention. Now the Hillcrest Business Association, which will pay the $25 thousand construction cost and has private donors covering maintenance, is appealing to the City Council for a permit. While there are complaints about the flagpole's height -- and calls to put something else, perhaps an artistic monument, on the site -- much of the pushback seems to be about perceptions involving the flag itself. "It's a sign of acceptance," argues Stefan Chicota, a microbrewery owner who's developing a new outlet on a nearby corner. "There's no color, no race, no religion. It's a diverse flag. It's to celebrate diversity. It's not a gay flag." But critics say all too many people see it otherwise, and consider it unfit for placement on public property. "It is in no way cohesive," insists North Park resident MaryLou Ruane. "To me, it would be a divisive thing for the people who live in the rest of the community. Or who come there." Visitors from elsewhere who had occasion to run errands in Hillcrest, and passed the site on Thursday, were largely in support of the flag proposal. "There are rainbow flags everywhere," said Coronado resident Morgan Cassidy. "So if they want to put up a bigger one, I don't see why not." Said City Heights resident Theresa Wesley: "This is like a gay community area anyway, so I'm surprised that there's not one already up here." The project goes before the City Council next Tuesday. It's exempt from environmental review and not subject to a mayoral veto, if approved. But it seems likely to generate more than just a routine discussion and "rubber stamp."